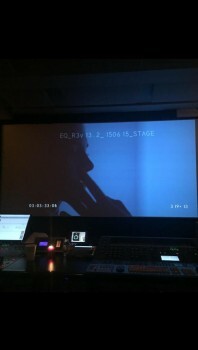 Director @DrakeDoremus: "Mixing #Equals this week!" A close-up of Nia, with Silas's hand. The feels.